The Spoils of War: FURY, reviewed. 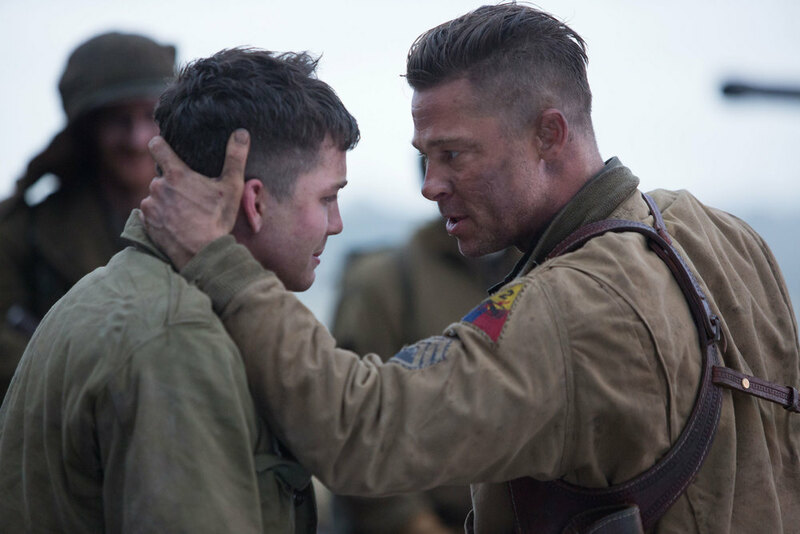 This is the scene that makes writer-director David Ayer's FURY something more than just a gritty combat picture. Shia LaBeouf, Logan Lerman, Brad Pitt, Michael Pena, and Jon Bernthal as the crew of FURY, an M4 Sherman tank. Logan Lerman is a green member of Brad Pitt's tank crew in David Ayer's FURY. I expected that David Ayer, the writer of Training Day and the writer-director of End of Watch and Sabotage, would make a gritty World War II combat picture. 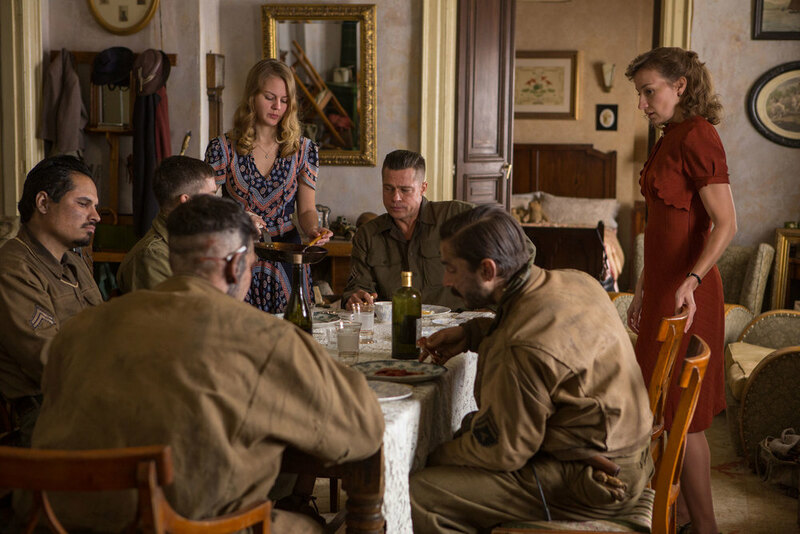 But I was surprised how much an interest his film takes in the plight of women, and its willingness to show American soldiers behaving badly during the "Good War." My NPR review is here.